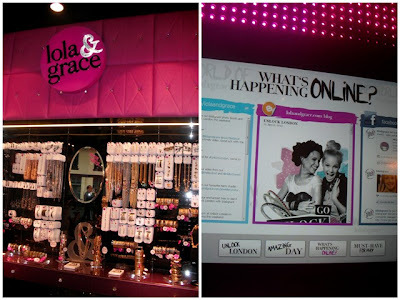 I recently visited the new lola&grace jewellery store at Westfield Stratford to view their new collections, take part in Unlock London and find out more about the world of lola&grace. lola&grace is a new fashion jewellery brand from Swarovski. 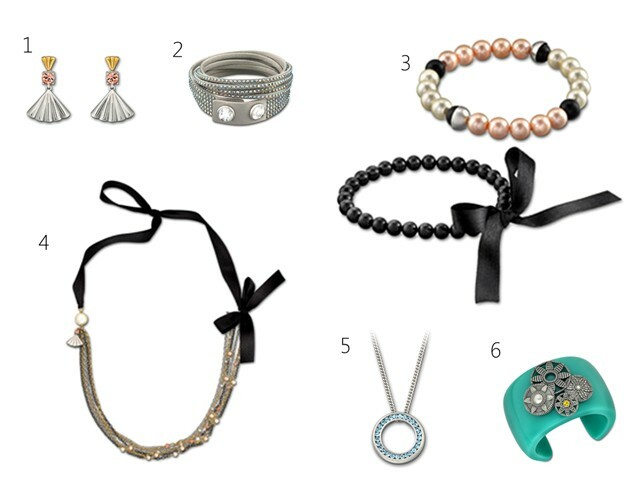 They offer fun and fresh designs for all occasions accented with Swarovski crystals and pearls. Their collection includes crystal solitaire rings, bold statement collar necklaces, dainty earrings, pearl bracelets and patterned bangles. Vice President Nina Muller describes lola&grace as the "cheeky little sister" of Swarovski. They offer the added Swarovski crystal gems for that bit of sparkle alongside the bonus of being more affordable and accessible for the budget minded girl like myself! I loved the bright purple colours used throughout the store and the revolving glitter ball! 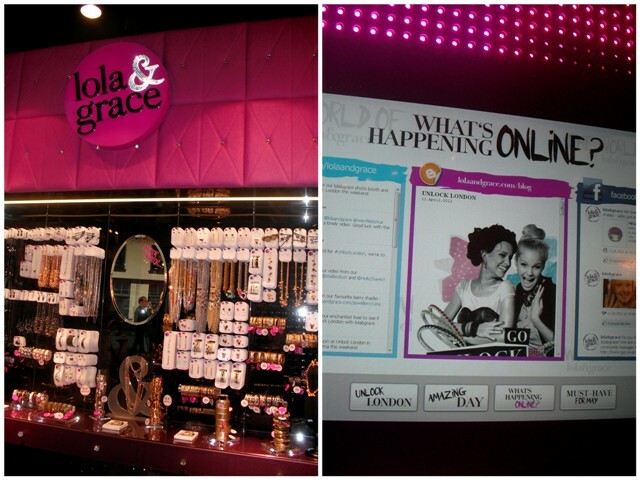 There's also an interactive touchscreen which you can play on with friends to explore the lola&grace website, check out their must have products of the month and access twitter and facebook. Alongside their all year round essential pieces they have four seasonal collections combining the hottest catwalk trends and latest cultural influences with contemporary and vintage inspired designs. 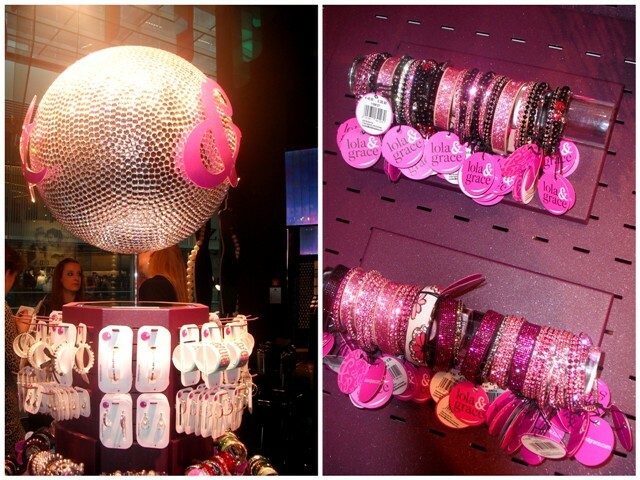 The brightly coloured bangles and cuffs are perfect for adding a pop of colour to your outfit. There are styles to suit the outgoing 'Lola' who likes big chunky bangles, studded earrings and spiked detailing, and plenty on offer for the more conservative 'Grace' who prefers a more classic and contemporary look favouring the shimmering gems and glamorous pearls. 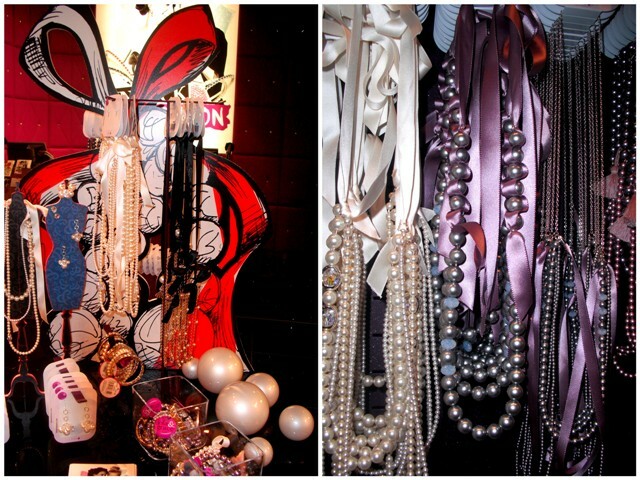 I think I'm more of a Grace, I'm attracted to their bohemian style ribbon and pearl designs. 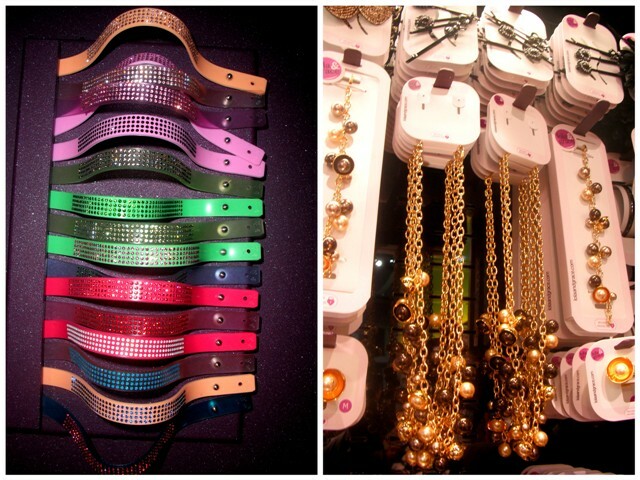 You can mix and match your style, stacking bangles and layering necklaces, be a Lola one day, and a Grace the next! I chatted with Nina about her plans for the future with lola&grace. They're looking to engage with the consumer and hope to collaborate with stylists and bloggers seeking their input and ideas on new jewellery designs. They're also beginning designing a range of bags and stationary. Nina told me of her aims to take the brand to a global scale and she's set her sights on Italy as the next calling point for lola&grace. A new lola&grace store is due to open in Brent Cross later this year. 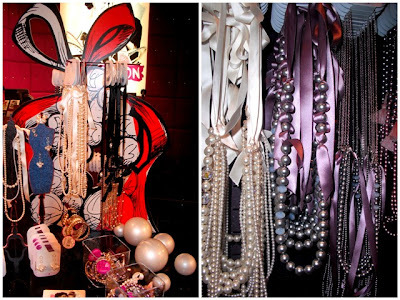 I really like the fan pearl jewellery collection. The art deco inspired designs are timeless. I love the dainty crystals and ribbon tie detailing. The wrap twist crystal cuff features lots of little Swarovski crystals which really catch the light and caught my eye in the store! It's made from soft leather and is light to wear. Are you a Lola or a Grace? Have you visited the new store yet? Interesting, because I work with Swarovski crystals a lot when making my jewellery, so my own designs are very similar to those from Lola and Grace as I can see (except for the fact that I use sterling silver and gold-fill, whereas probably many of their designs are made of brass). But it's nice to see Swarovski crystals used in a more youthful, fresh way :) . Oh my god the stuff is gorgeous! So going to be taking a proper look at their website! Thanks for letting me know about the old Blogger interface, it's much better now! Argh I wish I lived in London! I love Westfield! It has practically everything! I'm going down in May so I'll definitely have to check it out! Shop looks so shiny and alluring! Lola and Grace... what a clever concept! And I think I can safely say I'm a Grace girl myself! I have never even heard of this, but it looks awesome! their pearl collection is super pretty, but I really LOVE those blinged out cuffs!